Our product range includes a wide range of paper plate machine, wrinkle paper dish making machine, kangura plate machine, plate making machine, kangura dish making machine and disposable paper dish making machine. Backed by our years of industry experience, we are betrothed in presenting an excellent quality of Automatic Wrinkle Paper Plate Making Machine. 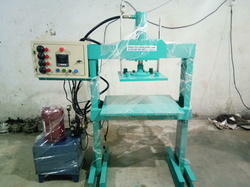 This machine is used for making all kinds of paper structure paper utensils. 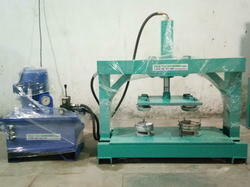 The offered machine use raw paper material shapes and design the plate, and produces 2700 plates per hour. Entire production line assembled into one body structure. Such progressive techniques reduce space requirement and offer low power consumption. Utilizing by the immeasurable experience of this space, we are occupied with assembling the prevalent nature of Hydraulic Paper Plate Making Machine. Its rich properties, for example, superior, low upkeep and more serving life, make the machine profoundly requested in paper plate making applications. 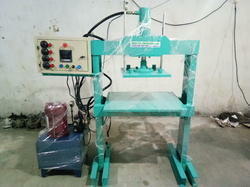 For assembling the offered paper plate making machine, we make utilization of most recent hardware. Production Capacity 2700 Pis/ Hr. With an aim to fulfill varied requirements of our valued clients, we are engaged in offering Hydraulic Wrinkle Paper Plate Making Machine.The offered machine is fitted with electronic panel and sensors that allows operators to exceed its production efficiencies.The impressive feature of the machine that works as a backup during power crisis.